Redwoods & Wine Country Escape is not currently available. Imagine spending the day exploring the Redwoods in Muir Woods and sipping on wines from the top Napa and Sonoma wineries. 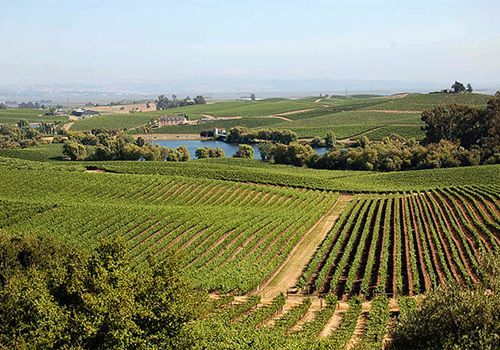 Your wine and Redwood dreams will come true on the Redwoods & Wine Country Escape tour. 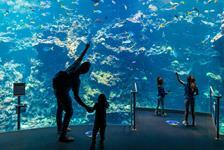 There’s no better way to spend a day than immersing yourself in all that California has to offer. Sit back, relax, and enjoy the California trees and wine. Choose between adding a lunch upgrade or venturing out on your own for lunch. The tour stops at the Golden Gate Bridge for photo opportunities. 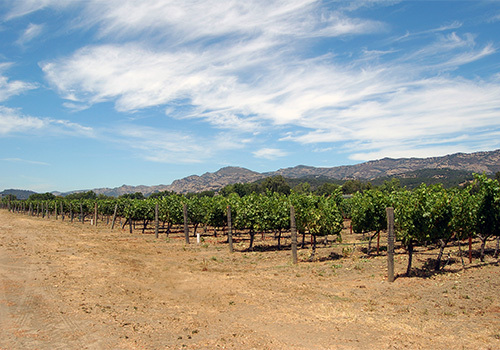 The tour includes tours and tastings at 3 different wineries in Napa and Sonoma Valley. 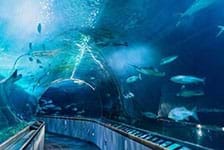 The California Wine Country is less than an hour's drive away from San Francisco and it is one of the most beautiful and popular sightseeing opportunities when visiting San Francisco. 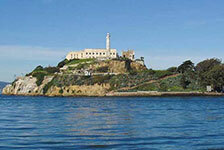 Our Muir Woods & Wine Country Tour combination is a great way to see two of the most popular San Francisco sights! 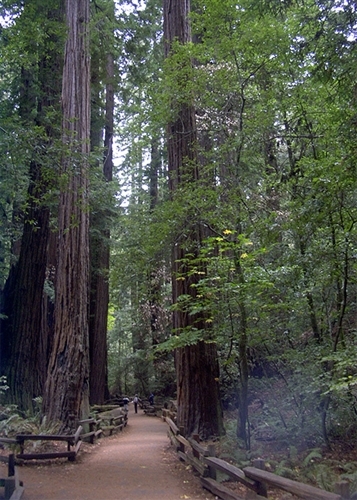 Tour guests can enjoy the morning exploring the spectacular Redwood Sequoia trees at Muir Woods, then relax in the afternoon while our tour guide introduces the group to the California Wine Country. 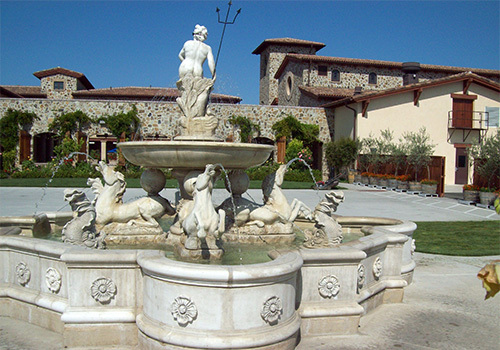 This tour includes three wine tastings and visits small boutique Sonoma and Napa wineries as well as famous Sonoma Plaza spending 45 minutes or more at each tasting stop. All our wine tasting is complimentary with the chance to try 5-10 delicious wines at each stop! Gourmet cheese tasting where available. The tour also includes an optional stop at the Golden Gate Bridge. Tourgoers have two lunch options to choose from. 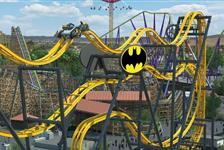 The first one is to venture out on their own and try one of the many cafe´s and restaurants located in the plaza. The second option is the UPGRADE tour. Have you been to Redwoods & Wine Country Escape? Share your knowledge and be the first to review this. Money for the Muir Woods park entrance fee, additional wine tasting in Sonoma Plaza, lunch, and extra expenditures. Comfortable, sturdy shoes. Flip flops and sandals are not recommended. In addition to sturdy shoes for walking, we recommended layered clothing. At times, the California weather can be quite cold - especially during the winter months. 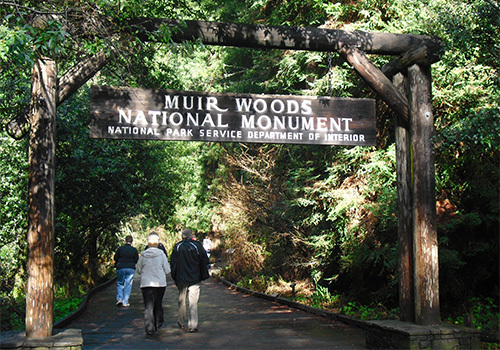 How much is the entrance fee for Muir Woods? Is a stop at the Golden Gate Bridge included? Yes. The tour stops at the Golden Gate Bridge for a photo opportunity. No. Guests are welcome to bring their own lunch and snacks or purchase food at one of the Historic Sonoma Plaza restaurants/eateries.